Every Sunday evening from 6-10pm, Glad Day hosts a Sunday Dinner with a curated comfort food menu to accompany a suite of 8 episodes of Our Favorite Ladies. The evening is hosted by Mikiki, Toronto’s aging-outest Drag Queen! There will be post-episode quizzes with PRIZES (!!!) and a Talk-Back after our mini-marathon to figure out if there is any relevance to the Girls’ parables from these 8 shows in our post-truth cultural moment. WHO IS TO SAY?!?!? 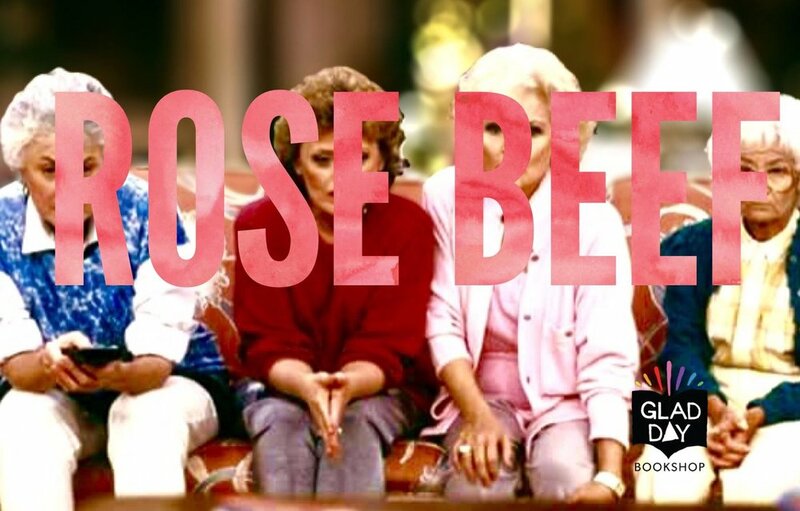 There will be delicious Golden Girls-themed menu items and drink specials, featured books from the archive relating to the themes, or the time of the season. Some seats can be reserved. Email [email protected] to inquire.